Cup members: all English Football teams that compete in the Premier League, the Football League and Steps 1-5 in the National League System, as well as selected teams from Step 6. Greatest scorers in the cup: top scorer for the 2014-15 season was Saido Berahino from West Bromwich Albion. The Emirates Football Association Challenge Cup, known for short as the FA Cup, is an annual football competition in English Football, which is a single-elimination (knockout) tournament. The Cup is organized by the Football Association. Clubs of all standards compete in the FA Cup, from Premier League champions to amateur teams. 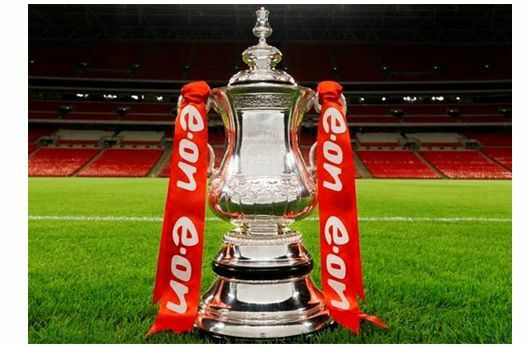 The FA Cup was formed in 1871. It was proposed to the Football Association committee by C.W. Alcock, an influential English sportsman and administrator, in the offices of The Sportsman newspaper. The proposition was accepted and the first tournament took place in November 1871. The first team to win the game was the Wanderes, who beat the Royal Engineers 1-0. In 1888-89 qualifying rounds were introduced, and clubs started competing on a regional basis until only one was left for the fourth qualifying round. In 1901 Tottenham Hotspur became the first club from outside the Football League to win the FA Cup. In 1931 West Bromwich Albion became the first team to win the cup and get promoted in the same season. In 1929-30, W. Dowden ("Doc") scored 19 goals for Wimbledon, which is believed to be the record for an individual for a season. During World War II, the competition was suspended; it resumed in 1945-46. In 1961 Tottenham Hotspur was the first club of the century to win a "double" - both the Cup and the league championship. In 1981, the 100th FA Cup Final took place (as there was a break for several seasons in the 1940s, due to the war), and was marked by what many consider to be the best ever final goal, scored by Ricky Villa of Tottenham Hotspur. In 1999, Manchester United were the first club to decide not to defend their title, by withdrawing from the FA Cup that year and instead competing the FIFA World Club Championship. In 2003, the FA Cup final was played under a roof for the first time, at the Millennium Stadium in Cardiff, Wales. In the 2010 Final, Chelsea player (and formerly Arsenal player) Ashley Cole got the record of player with most FA Cup wins; Chelsea's victory over Portsmouth that year was his sixth win. He later achieved a seventh, when Chelsea beat Liverpool in 2012. The most successful club in the FA Cup to date is Arsenal, with 12 titles (most recently in 2015). Manchester United is next, holding 11 titles (most recently in 2003-04). Blackpool vs. Bolton, 1953 – this game became known as the "Matthews Final". Despite Blackpool Stan Mortensen having scored a hat trick, Bolton player Stanley Matthews managed to aid his team to victory by making a cross that was met by other Bolton player Bill Perry, who scored the final goal. Bolton defeated Blackpool 4-3. Tottenham vs. Manchester City, 1981 – this game was replay after a previous game that ended in 1:1 draw. Once again, the sides reached a 2:2 draw, but 15 minutes before the game was to have ended, Argentinean legend Ricky Villa, playing for Tottengam, scored a magnificent goal against City, which is still considered to be the best goal in Final Cup history. Liverpool vs. Arsenal, 2001 – in this game, Liverpool was sure it was facing defeat after Freddy Ljungberg helped Arsenal to the lead. However, Liverpool player Michael Owen managed to score 2 goals on the 83rd and 88th minutes of the game, leading his team to victory. Go to the "Top Tournaments" category on the homepage, and choose "FA Cup Tickets" from the list, or else search for "FA Cup" in the search field until you reach the league's events' menu. Click on "Continue" to confirm your FA Cup Tickets purchase.